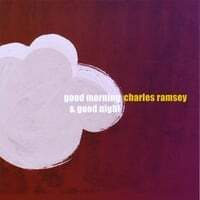 Charles Ramsey-Good Morning & Good Night. The music of Philly's Charles Ramsey could be summed up best by invoking 3 famous "B"s: The Brill Building, Burt Bacharach, and Brian Wilson. And it's quite reminiscent of a disc last year from another "B": Brent Cash's How Will I Know If I'm Awake. (If I really wanted to pile on the similarities, I could also cite a fifth "B", Ben Sadock). Anyway, enough of the influences and similar artists - they aren't worth a damn if the songs aren't good. That's not a worry here, as you'll find out right away on the bouncy opening title track with its bright melodies and classic 60s-pop horn section. "Odelia" is another highlight, channeling those early Bee Gees records before they went disco, while "Still Waiting" has me looking for Jimmy Webb in the songwriting credits. And he saves the best for the second half of the disc: "She Changes You" might be the best track on the album, with Ramsey in fine voice and a string section that manages to be very prominent yet not overbearing, and the piano-based "My Lost Days" is where the Bacharach comparisons come in. If this kind of pop is up your alley, this will be a major find. 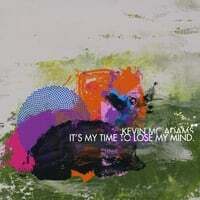 Kevin McAdams-It's My Time to Lose My Mind. NYC's Kevin McAdams, if nothing else, is going to have one of the top tracks of 2009 when I compile that particular year-end list. "Start Over Again", which opens the disc, is a joyous ELO-styled number that's catchy as hell and which would probably make Bleu jealous. The rest of the album ain't bad either, as McAdams manages to stay on the baroque side of indie pop. The pensive "Us vs World" and "A Different Love Song" find their way into Beck/Grandaddy territory, while the manic "The Bannerman Nightmare" and "Leave Us Alone" will delight Bryan Scary fans. A promising debut. thanks for the tip. i love this record!! Stream the new Marshall Crenshaw! Two for Tuesday (Special Monday Night Edition).